~ We know how important this 1 conversation could be. As a result, most people think, “I have to get this job no matter what!” There’s just too much pressure. Here is my proposal for an alternative. 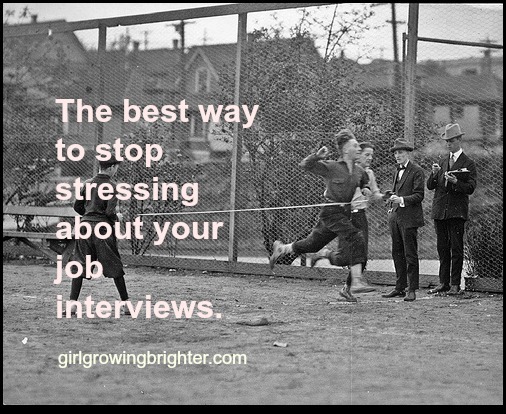 With it, I believe you will be able to refocus, and stop feeling so stressed out about your interviews. 1. Focus on what YOU will do, not what OTHERS will do in response to you. AKA: Flip external goals to internal ones. What is the difference? The difference is that Statement #1 focuses on an external goal. External goals make me nervous. External goals pretend that the results are within my control, even when I know they’re not. External goals are useful, to an extent. Statement #2 focuses on an internal goal. Internal goals are empowering. Internal goals are within my control. Internal goals often lead to achieving external goals, but they are more rewarding in the long-run. Here’s the catch. Internal goals encompass external ones. 2. Break down your internal goal into a few manageable tasks. Therefore, my internal goal was to do all of the above to the best of my ability. If I did all of these things, would I get the job? Not necessarily…. but I’d do a heckuva lot better than if I were worrying only about getting hired. 3. Take the time to congratulate yourself for achieving your internal goal! Then, keep on learning. Finally, don’t get me wrong – I still felt bad about one of my interviews! I thought I’d asked too many questions, and that I didn’t have enough knowledge to answer everything the way I’d wanted. However, I told myself that I actually had achieved my internal goals, because I had no control over their questions! I couldn’t have done anything differently with the knowledge I’d had in that interview. THEN, I went home and studied: looked up the terms I’d heard my interviewers use, ordered a book from the library. Sometimes what we offer might not match what the interviewers want. We can’t control that. What we achieve inside does not equate external success – and vice versa. However, the better I can get at learning to achieve and congratulate myself for my internal goals? The less I’ll feel bad about the external results. And, paradoxically, the better my external results will be! To illustrate how our internal lives are often different from our external ones…. Haven’t tried internal goal-setting before? Trust me. They are way more fun to set than external ones! What are your goals? Can they be flipped into internal ones? Prelude – This is me describing all the reasons I wanted to quit my job in January, but hadn’t done it yet. Quit your job, Part 2 – How to Quit your Job, a Semi-Spiritual Primer. This is about figuring out your next steps once you’ve decided you need to quit. It’s focused on things YOU can do! Finding my true path, pt. 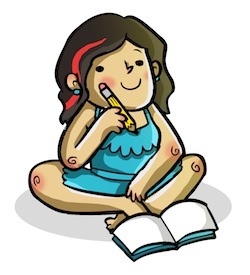 1 – I’m learning to set small goals each day. This is how I’m doing it. Finding my true Path, pt. 2 – I wrote about saying “NO” instead of “YES” and why it’s important for me to learn to do both.